The tournament is listed under Tournaments -> Restricted ! Ready for Sunday night? Don't miss the chance to boost your bankroll for free with our bwin/partypoker freeroll! did you find out why some of us couldn't register for the last one so that its fixed for this one?. 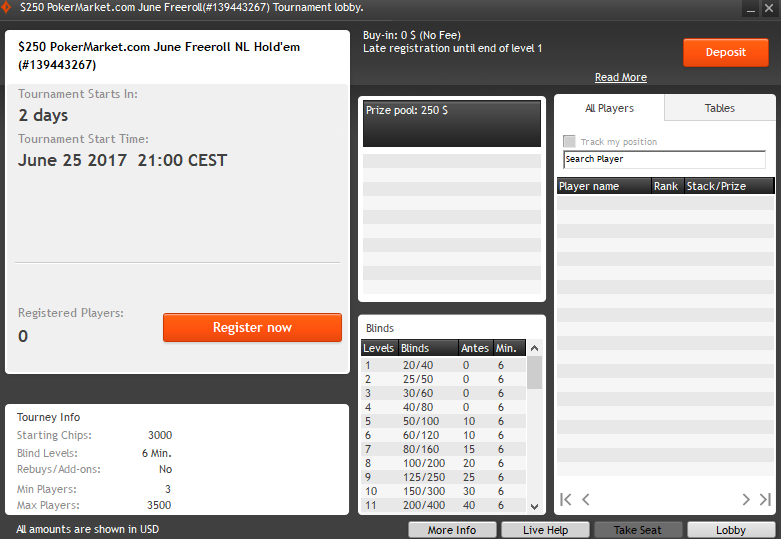 Hi, As i already had a bwin account before joining poker marketplace can i still enter tonight's freeroll. And if so where will i find the password.. I did send an e-mail to support earlier today but as yet no reply. Hi, unfortunately you cannot join the freeroll with your old/existing account. Only players who registered their account through us are eligible to join. 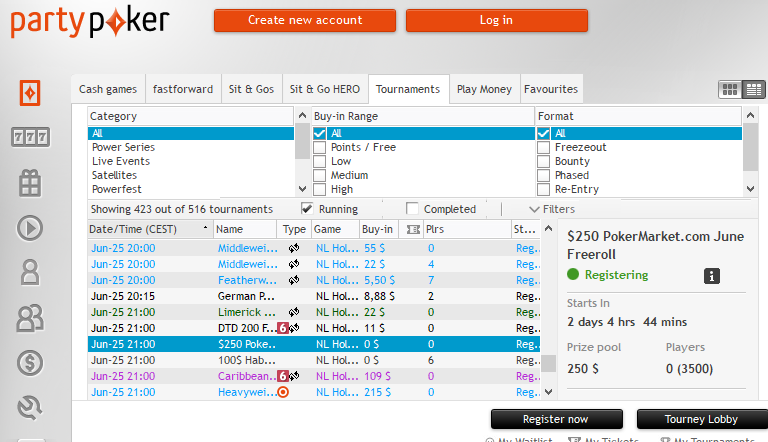 However, you can open a partypoker account with us so that you can join all further freerolls!